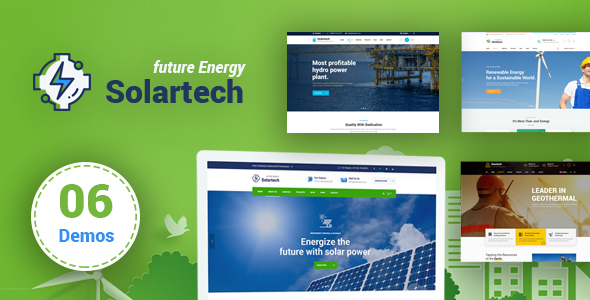 Solar Tech is the new outstanding, extremely modern HTML Template, designed for energy efficiency company, solar and alternative energy and eco friendly technologies websites.. The template comes with a creative 06 homepage design layouts, responsive and 25+ valid HTML files. The design is very elegant and modern, and also very easy to customize with 1170px grid. We hope so you will feel happy with them. The Solar Tech template coded with beautiful and clean codes! Some powerful HTML files 100% valid W3 web standards.